Are High Bank Fees Driving Consumers Back to Credit Cards? New evidence has emerged recently of a continuing resurgence in the popularity of credit cards. A study, published by Equifax on Nov. 10, shows both these and store cards being issued and used at the highest levels for many years. It seems likely that the biggest reason for this is consumers and lenders growing more comfortable again with debt. But a secondary one may the the growing recognition of the fee gouging practiced by many banks on checking accounts. During the Great Recession, many saw debit cards as the safer and smarter way to pay, and shunned credit cards. Are ridiculously high fees and penalties giving them reason to rethink that move? A whopping 28.8 million new cards were issued during the year ending July. That's a six-year high, and is up 21.3 percent on the previous 12-month period. Between them, those new cards provided credit lines totaling $141 billion, the highest amount in seven years. More worryingly, the amount of plastic being issued by retailers is also exploding. As IndexCreditCards.com warned last year in "Store cards? 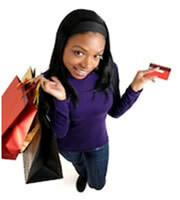 Proceed with caution," consumers should be wary of this type of credit. Those figures, plus others in the report that show increases in the issuing of plastic to subprime borrowers, suggest that it's probably easier to get a credit card application approved now than for many years. They also imply that millions are are making such applications. Reading Equifax's statistics, it's impossible not to get a sense of déjà vu. Haven't we been here before, in the run up to the credit crunch? You have to hope that banks are lending -- and borrowers are using their lines of credit -- more responsibly this time around. So far, there are signs both are doing so. The Federal Reserve's report on consumer credit, published in November, shows that revolving credit, which is nearly all credit card debt, is creeping up only slowly, unlike many other categories of borrowing. While most of the boom in card issuing may be down to the economic recovery making consumers feel more relaxed about debt, some may be a result of bank customers shying away from their debit cards. For many, high checking-account fees and extortionate overdraft penalties are making them think twice before swiping that sort of plastic. Certainly, the price of going overdrawn is enormous: enough, according to Moebs researchers, to be generating $31.8 billion a year for U.S. banks, based on overdraft fee data for the last quarter of 2013. At the end of July 2014, federal regulator the Consumer Financial Protection Bureau (CFPB) did some math that showed the burden on individuals. It reckoned the majority of overdrafts caused by overspending on debit cards were for sums of $24 or less, and were cleared within three days. But the median (they vary widely from bank to bank) overdraft fee was $34. And a $34 cost to borrow $24 for three days comes in at an annual percentage rate (APR) of… wait for it… 17,000 percent! And that's based on a $34 fee. In June, The Pew Charitable Trusts found that one in four of those with recent relevant experiences had paid $90 or more when they'd last overdrawn. Anyone paying $34 or more in that situation would be better off going to a payday lender -- or possibly even a loan shark -- rather than taking the money from her bank. And someone who used her credit card could expect to pay roughly 1,000th of that 17,000 percent APR: The IndexCreditCards.com credit card rates monitor says the average APR across all such cards was 17.17 percent at the time of writing. Of course, plenty of people pay modest or even zero fees for their checking accounts. They usually have the great credit that comes from exceptional self-discipline, are skilled and attentive money managers, or maintain a thousand or two in their accounts as buffers against accidental overdrafts. They're to be congratulated, and possibly envied. But life simply isn't like that for others. An October report from the Federal Deposit Insurance Corp. (FDIC) revealed that 25 million Americans (the "unbanked") live in households where nobody at all has a bank account. Sixty-eight million were "underbanked," meaning they had a bank account, but sometimes had to fall back on what's euphemistically called "alternative financial services," such as payday or pink-slip loan companies and check cashers. That FDIC report went on to explore the use of prepaid cards. It found that 22.3 percent of unbanked and 13.1 percent of underbanked households had used a prepaid debit card during the 12 months prior to its survey. That compares with 5.3 percent of fully banked households. They deny free access to basic account information, such as balances, fees and recent transactions. They fail to cooperate with customers in resolving account errors, such as double transactions or mistakes retailers make when keying in charges. They don't limit customers' losses in the event a card is lost or used fraudulently. Yep. Lose a card, and you could lose all the money loaded on it. They have hidden fees that can be discovered only once a card has been purchased -- if at all. Hmm. You might prefer the tender mercies of your bank. Back in the bad old days, before they were regulated by the CARD Act, many credit card companies had bad reputations. They were mostly fine when things were going well, but turned the moment anything went wrong, imposing horrific fees and penalty rates. But things have changed. Today, overlimit fees have all but disappeared, and there are legal limits on the imposition of those penalty rates. None of this means that those who can't handle this sort of plastic responsibly should start applying. But if you're a good money manager looking for a cheap and safe way to pay, credit cards are it. 0 Responses to "Surge in credit cards as banks gouge customers"